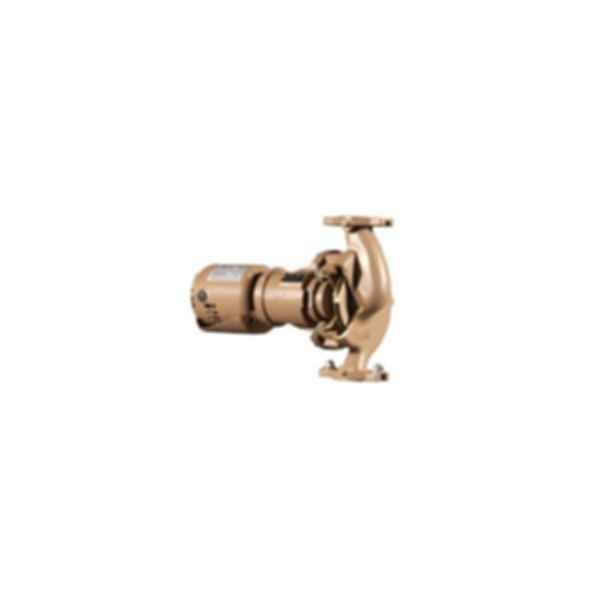 Taco 1600 Series In-Line Pumps feature a replaceable, permanently-lubricated bearing cartridge. The exclusive 1600 cool bearing cartridge design isolates the bearing from the effects of system temperatures to greatly extend bearing life. A standard bearing design also means that a single bearing cartridge can be used to service the entire line, making servicing a snap. Taco 1600 Series pumps are available in 15 models ranging in performance capacity from 10 GPM to 235 GPM with head capacities up to 68 ft. Rugged Casing DesignMaximum operating pressure of 175 PSI and maximum operating temperature of 300 F.